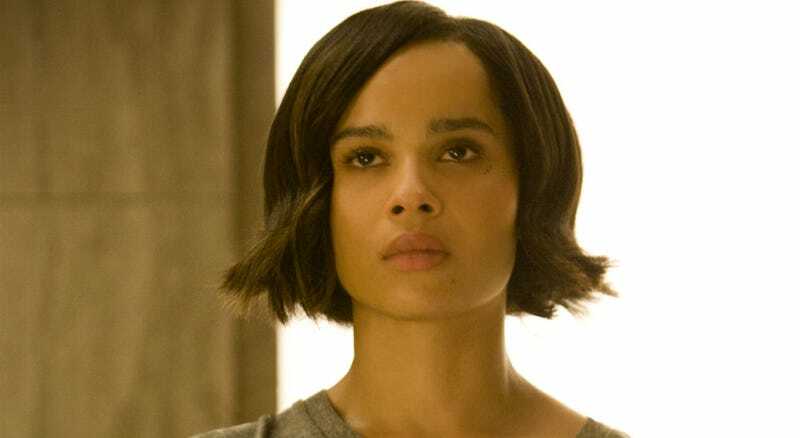 The upcoming Harry Potter prequel, Fantastic Beasts and Where to Find Them, has just added Mad Max: Fury Road and X-Men: First Class actress Zoe Kravitz. Which is outstanding. But you’re probably wondering, “Doesn’t that movie come out in like four months?” Yes. Yes, it does. According to The Hollywood Reporter, Kravitz was added “after production began,” which could either mean days later or months. The latter sounds plausible too, because apparently while Kravitz’s role in this year’s movie is small, she’ll have a larger role in the sequel, which screenwriter J.K. Rowling has already penned for a November 2018 release. Basically, we guess one of these two scenarios occurred. Either Kravitz’ role is so small, she filmed it completely under the radar, or Rowling created a new character while writing the sequel and realized after production had wrapped they still had time to work her into the first movie as a tease. The former is certainly more likely, but the conspiracy theorist in me wants to believe the latter. Warner Bros. had no comment on Kravitz’s addition to the film. Fantastic Beasts and Where to Find Them opens November 18. The sequel opens two years later, on November 16, 2018.